After days and weeks of consideration, you finally decided to bring a cat to your family. Since they require less maintenance than dogs, you find a cat’s lifestyle matching yours, too. Such a match made in heaven, isn’t it? However, deciding to adopt a cat is not entirely feline kisses and fluffiness (and scratches too). Like any other pets, they require the necessities to keep their health and happiness intact too. We saved you the trouble of spending hours on the internet just to estimate how much it will cost to adopt a cat. Read on to discover the expenses to expect when you bring a cat into your home and family! Shelters and rescue centers have cheaper adoption fees than breeders. Adoption fee for cats 1 year old and above ranges from $15 – $200, and $100 – $200 for kittens. The adoption fee includes medical and food expenses for the cat while waiting to be transported to your home, such as vaccinations, spay/neuter, flea and de-worming treatments and cat foods good for a week. Adoption fees for cats from breeders vary depending on the breeder, the breed itself, the color and quality of the cat. Fees can range from $300 – $3000. Exotic brands can go up to even ten thousand dollars. Just in case the shelter/breeder didn’t cover this for you, and you’re not considering to breed and get more cats, get your cat spayed/neutered. Private operation costs $300 – $500 for female cats, and $200 for male cats. Non-profit organizations also conduct spay/neuter operations for only $50. Don’t worry about the quality, though. These surgeries are performed by licensed vets too! You’ve got to provide your feline friend a bathroom of his/her own! Prices can vary depending on the features it comes with, like self-cleaning, scoop-free, etc. You can get a litter box for your cat for $6 – $200. This one’s a nice-to-have, but no need to buy one immediately. Pet combs can be useful especially when your cats shed A LOT. You can buy one for $6 – $15. Food for kittens can cost more than foods for adult cats, as they need to eat 4 times a day. Kitten foods range from $8 – $61, and adult cat foods range from $4 – $112. Quality brands of cat foods can be a bit more expensive, but they can benefit your cat’s health in the long run. Also, if you want to save more, consider buying in bulk! You have to replace the litter in your cat’s litter box frequently, or else the urine and feces will build up and cause unwanted odors. Non-clumping litter ranges from $9 – $40, while clumping litter ranges from $6 – $43. Visiting your vet regularly can help prevent conditions like cancer from affecting (or spreading) your cat. A vet visit usually ranges from $60 – $70. You should also keep an emergency fund in case your cat meets an accident or suffers a serious condition unexpectedly. Pet insurance can help cover the vet bills in case the unexpected happens. Keep your cats free from tick and flea by investing in some topical solutions ( $12 – $85) and/or collars ($6 – $55). Keep your cat’s vaccines up-to-date to prevent him/her from serious diseases. Follow-up vaccines ranges from $5 – $15, and can require two- three time administration. Of course, these expenses are just an overview of what to expect. Your expenses in adopting a cat depend on your lifestyle and unexpected turn of events. 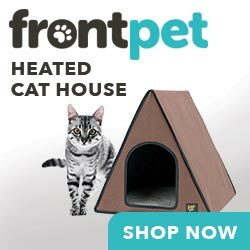 Want to spoil your cat? Go ahead! Want to keep it basic? Go for it. What matters is that you give your feline friend the same care and affection he/she gives you. Having a cat is a lifetime responsibility and a lifetime worth of happiness too! Catherine Sullivan is an avid cat lover and owns a lovely ragdoll named Mimi. She shares her experiences as a cat owner on her personal blog, Cats.How. What your cat wants you to know about their eating habits Cats and litter: What are cats’ preferred types? The Cost of Having and Caring for a Dog Is pet hair the worst thing about pets?